Does not mask. Digests & eliminates! REMEMBER! If you’ve got dogs (or cats for that matter), urine smells on artificial grass or turf will be an ongoing problem. TurfPongTM is just the start of managing the problem. Read more about how it works below, then contact us to find out more about our innovative solutions for the every day management of pet urine smells on artificial grass. How does TurfPongTM removes the urine smell? TurfPongTM is a powerful combination of ammonia-eliminating enzymes and odour-eating bacteria. While enzymes break down ammonia and ammonia crystals on contact, long-acting, odour-eating bacteria continue to replicate until the food supply from the ammonia is finally exhausted. Both the smell and the source are eliminated completely. You can now easily identify the area requiring treatment before treating with TurfPongTM. 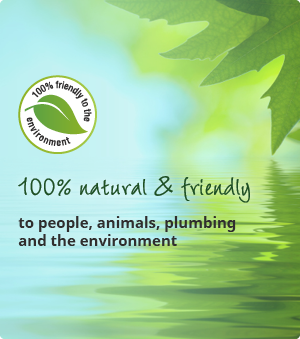 TurfPongTM is harmless to pets, people and the environment.